April 8, 2019 Robert W.
Custom wood for sale or for lease signs are needed on large commercial properties, vacant land and specialty properties. Signs on property sites are said to account for 10% of all sales and leases, so it only makes sense to invest a small amount of money to get the property noticed so that you can represent the buyer and seller in the transaction. Custom wood for sale or for lease signs can bring big results ! Custom wood for sale signs or for lease signs can be many different sizes. The two most popular sizes are the 4ft x 4ft wood sign and the 4ft x 8ft wood sign. These signs can be made vertical or horizontal to meet your needs. The signs will have information on them such as real estate brokerage name, logo, realtors name, realtors contact information ( telephone number, email address and website), information about zoning, utilities on property, square footage, etc. The custom wood for sale or for lease signs are then placed in front of the property or another location where they can be seen by people as they pass by. The wood signs are held up with 4″ x 4″ wood posts to secure them so they do not tip over when Las Vegas has high winds. These heavy duty wood signs are 1/2″ thick and are printed in full color, meaning you can have pictures, logos and just about anything you want printed on them in any color. 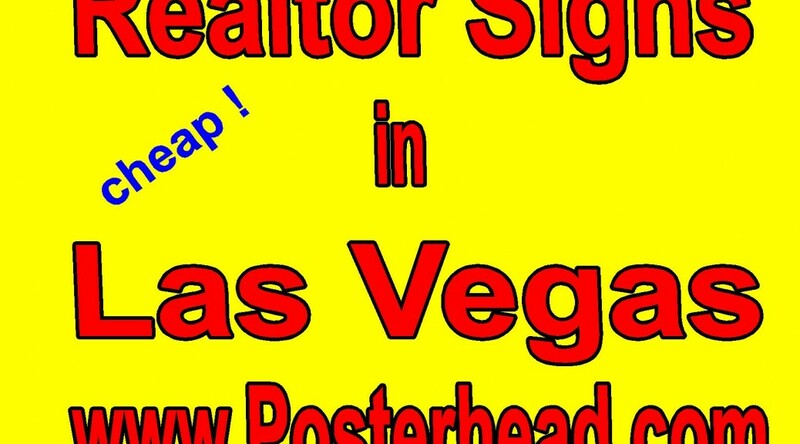 The signs are then laminated to help protect against fading in the hot summer sun that Las Vegas has. A 4ft x 4ft wood sign costs a little over one hundred dollars and a 4ft x 8ft sign costs just a little over two hundred dollars and will last a long time. Contact you local sign store today for your custom wood realtor signs.